Convoy is a trucking company that is reinventing transportation. We connect business that need to ship freight to a reliable network of carriers (truck drivers). We build technology to make this process much more efficient. A truck driver is the #1 job in America. They’re the unsung heroes that make our economy work. We are identifying and solving problems to make their work easier. Out of all the miles that truck drivers travel across the country, 40 percent of those trucks are empty. As more truckers and companies shipping freight become part of our network, our technology creates smarter routes that efficiently batch shipments for our truck drivers, helping them and their small businesses thrive, saving on transportation costs and curtailing environmental waste. For every 1 percent improvement in truck routes and utilization, we can save nearly 400 million gallons of fuel from being consumed, 100 million hours from being wasted and 3 billion miles from being driven each year. I'm currently reading “Homo Deus: A Brief History of Tomorrow” by Yuval Noah Harari. I'm known to be a very practical person, but I also love diving into philosophical ideas. Yuval does an excellent job at opening up the conversation around the human experience, individualism, human emotion and consciousness. 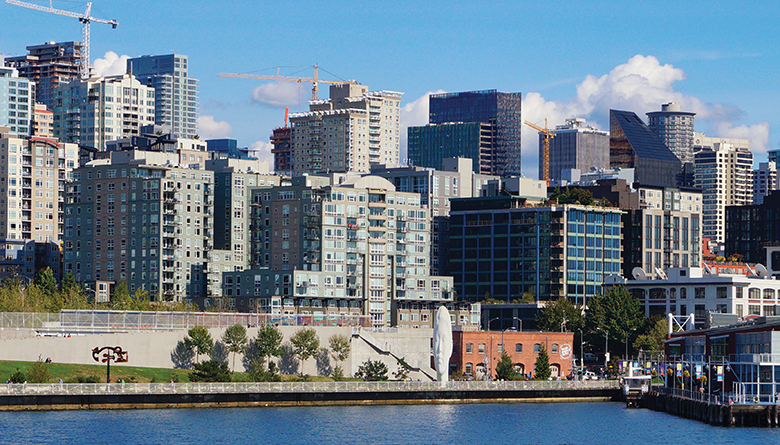 My favorite spot in Seattle is the waterfront, specifically the running path along the Olympic Sculpture Park. I have a 2011 BMW convertible that I drive once a month to visit family. My entire family lives around the Seattle area. With my lifestyle, it's easier to walk to most parts of the city, but I grew up in Issaquah, went to school at the University of Washington and now live in Belltown, so my car has followed me along that journey. I make most life decisions around the concept of time. I think time is the most valuable currency. Our time in this world is finite so how you spend time says a lot about what you find to be important. To me, what you do is more important that what you say. I love getting pulled in by great movies and TV shows. My taste spans from romantic comedies to end-of-the-world to sci-fi. The marketer in me loves to watch the creative storytelling unfold.